Very authentic movie! 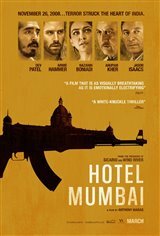 Dev Patel and Anupam Ker are great! First class movie , we were riveted to our seats, as was everyone else in the cinema. Well acted well made, brutal in its honesty....highly recommended.